SPONSORED ARTICLE | Has your organisation overlooked an easy source of extra income — the funds you already have? 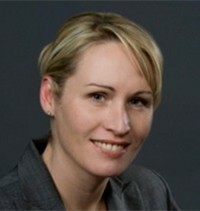 Vanessa Nolan-Woods, the Head of Westpac Social Sector Banking talks about how Not for Profits can grow their money. Raising money is a constant activity for most community organisations. But have you overlooked an easy source of extra income — the funds you already have? Depending on the nature of your organisation, you may hold sizeable sums of money from time to time. These may be the result of an ongoing fundraising effort, a successful event, a bequest or a recent grant win, for example. Instead of just saving the money, investing it can generate more funds. Community organisations enjoy the same investment opportunities as almost any other business or individual. And just like other investors, the decisions are largely driven by risk. 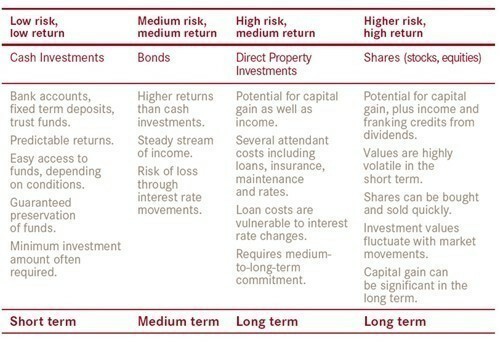 As this diagram shows, risk and potential return march in step. Of course, the risks are only relative, while the potential to generate extra funds can be significant. What’s more, most investment classes are now accessible via means that mitigate risk — most notably through a selection of managed funds or the diversification of a portfolio of directly held Australian equities. The other way to reduce risk in a diversified investment is time. Funds that could be needed soon should be invested quite conservatively, while funds that can be invested for longer can be exposed to more risk, on the basis that long-term returns have usually proved to move steadily upwards.